Recently crowned SuperEnduro World Champion and FMF KTM Factory Racing’s Cody Webb is joined by the Red Bull KTM Factory Racing line-up of Enduro2 World Champion Josep Garcia, multi-time World Champion Taddy Blazusiak, who is returning to competition from retirement, British-ace Nathan Watson, and multiple hard enduro winning Jonny Walker. It will be an exciting season of seven races that are world-renowned in their own right and the WESS racers will face different challenges that will test their abilities to the maximum with classic enduro, hard enduro and beach racing to find the best all-round rider. The series celebrates a dynamic calendar with a variety of challenges, and goes back to the grass roots at the best-loved enduro events with hundreds of riders battling alongside the pros. With anticipation building ahead of the start of the WESS championship, and winter testing almost complete, we got an insight of what to expect at the forthcoming races during the recent team shooting in Spain. 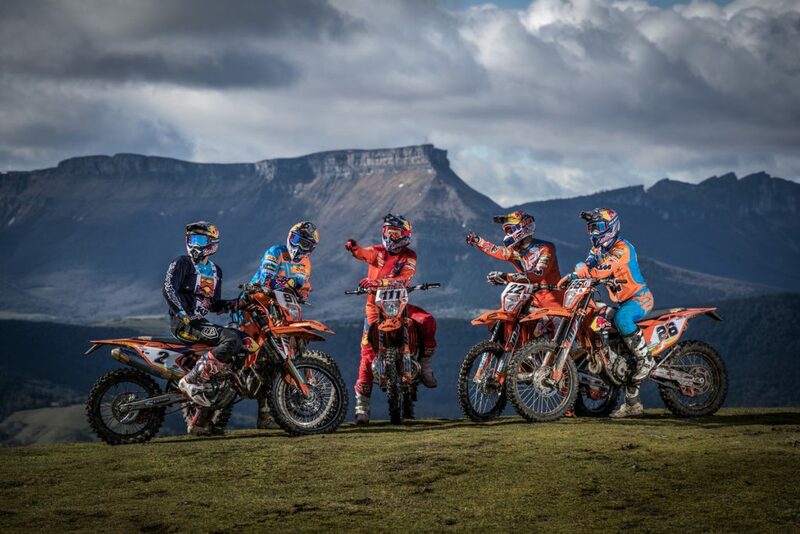 The riders will compete on both 2-stroke and 4-stroke machinery during the season, whilst not only having to battle each other, but the terrain and thousands of amateur racers and local experts that will line-up at each event. Here’s a few images from Spain and we look forward to the series kick off!